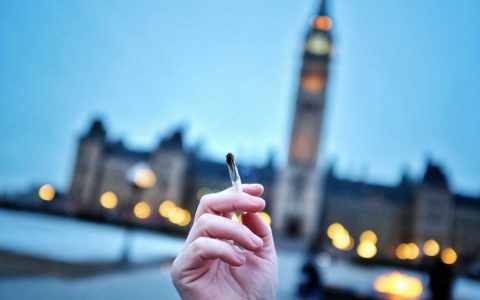 Canada’s first 4/20 following legalization is almost here, and progress has never smelled so sweet! 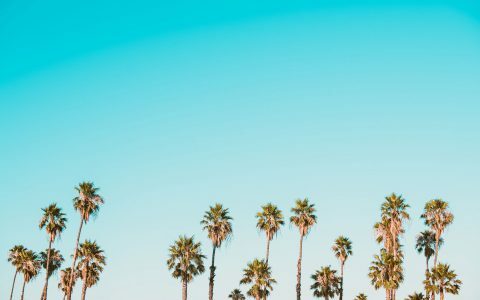 The holiday for cannabists isn’t just a day for public displays of affection toward this wonderful plant, it’s also a day when dispensaries traditionally give back to their customers by offering sweet deals on cannabis products of all kinds. In Canada, strict regulations surrounding promotions—and a patchwork of provincial nuances—make this murky territory for legal cannabis retailers. But deals certainly do exist! Independent operators are especially keen to celebrate the big day and are hosting a potpourri of promotions, giveaways, pancake breakfasts, and other festive in-store specials. And, while we’re not holding our breath for Quebec’s SQDC to start doling out discounts, other province-run cannabis stores might still surprise us all. BC Cannabis Stores, for instance, has assembled a ‘4/20 value collection’ to mark the occasion. The Leafly Buyer’s Guide is here to help you make the most of the holiday. Find 4/20 deals across Canada listed below and check back throughout the week because we’ll update this list as new deals are announced. 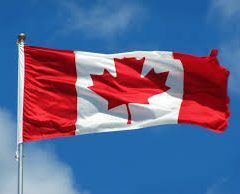 Are you offering a promotion for 4/20 in Canada? Email details to canadaevents@leafly.com to share your 4/20 with the Leafly community. 4/20 Offer: The province-run retailer will mark the holiday with a “Value Collection” dedicated to the special day. $4.20 Trailblazer Prohibition prerolls, a commemorative beaker bong from Cheech & Chong Glass and numerous other types of bud and accessories are among the features. 4/20 Offer: Look forward to 20% off all accessories and select strains on sale at this family-owned store in Kamploops. They’re also hosting a draw for a Magical Butter Botanical Extractor, the winner will be announced on Monday, Apr. 22 at 4:20 pm. 4/20 Offer: Wake and bake with a pancake breakfast hosted by this Lethbridge store. Plus discounts on flower and oil across the store. 4/20 Offer: Trailblazer Prohibition prerolls and milled cannabis will be on sale at this the Calgary cannabis store on 4/20. 4/20 Offer: Fire & Flower locations across Alberta (including outposts in Edmonton, Fort Saskatchewan, Hinton, and half a dozen others) are offering 20% off accessories and cannabis prerolls on 4/20. 4/20 Offer: The Calgary cannabis store celebrates 4/20 with a candy buffet, producer pop-up, and discounts. Look forward to 20% off all accessories, oils, and capsules, plus up to 35% off select flowers. 4/20 Offer: Newleaf locations across Alberta will be offering 20% off oils, gel caps, and vapes online and in stores. 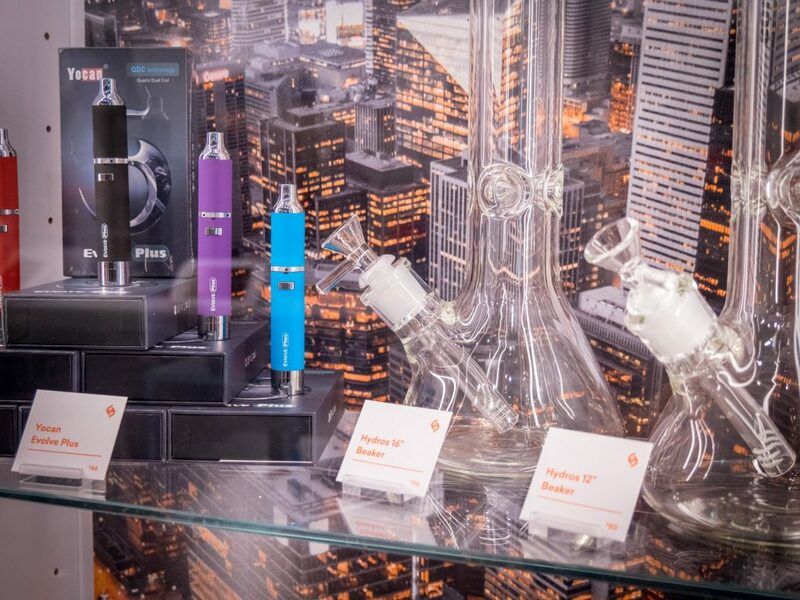 4/20 Offer: Visit locations across Alberta to get 20% off all accessories in store until Apr. 21. While supplies last, savings can also be had on the featured strain, Trailblazer Prohibition Blend (Milled) 3.5 gram package and Trailblazer Prohibition Blend 0.5 gram prerolls (promo not available at the Nova Cannabis Off Whyte location). 4/20 Offer: The cannabis store in Devon does 4/20 with Trailblazer prerolls on for $4.20/joint! 4/20 Offer: All Spiritleaf locations in Alberta are offering a free Spiritleaf 2-in-1 Bullet Pack to customers on 4/20 (while supplies last, no purchase necessary, one per legal aged customer, valued at $3.99). Discounts on cannabis and accessories are available in store all day! 4/20 Offer: Fire & Flower outposts in North Battleford and Yorkton are offering 20% off accessories and cannabis prerolls on 4/20. 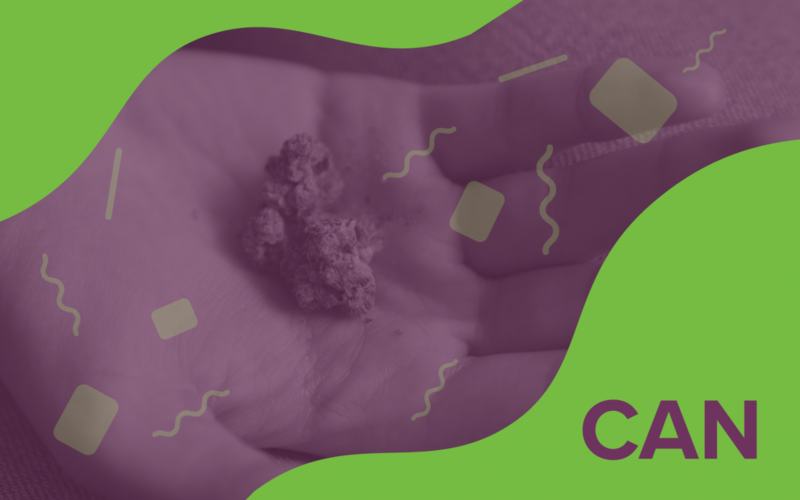 4/20 Offer: Locations in Battleford, Martensville, and Estevan are celebrating 4/20 all month with $5 off capsules, and $10 off Canopy edible oils. Shipping on online orders–permitted across Saskcatchewan–is all free all month. According to Jimmy’s website, “That’s not all. Stay tuned for details on our $4.20 sale,” held Apr. 20-24. 4/20 Offer: Find deals on accessories offered a week in advance of 4/20 at this cannabis store in Saskatoon. The shop is also doing a bong giveaway on 4/20—you can stop in over the week to enter to win with no purchase necessary. 4/20 Offer: Locations in Warman and two new outposts, in Saskatoon on Broadway and in Stonebridge, celebrate 4/20 by offering 10% off Aurora and High Park strains, and 20% off all accessories. In addition to deals (also available online with free shipping until May 1), the Broadway location is also hosting a massive block party promising eight hours of live music, food trucks, and more! 4/20 Offer: Spiritleaf Moosejaw is offering a free Spiritleaf 2-in-1 Bullet Pack to customers on 4/20 (while supplies last, no purchase necessary, one per legal aged customer, valued at $3.99). Discounts will also be offered on cannabis and accessories in store all day. 4/20 Offer: The store on St. Albert St. in Regina is hosting a colouring contest for 4/20. Pick up a colouring sheet to participate and be sure to submit your entry before judging takes place on Apr. 20. 4/20 Offer: The chain of cannabis stores from National Access Cannabis celebrates the holiday with 20% off capsules and vapes. The offer is available at stores across Winnipeg, as well as, in Brandon, Portage la Prairie, Morden, Thompson, and Opaskwayak. 4/20 Offer: Tokyo Smoke locations in Manitoba will celebrate with snacks, DJ sets, a higher learning education session featuring 4/20 history and trivia, and a special edition 4/20 Tokyo Smoke tote bag giveaway (until supplies last). Event runs from 12 p.m. to 5 p.m.
4/20 Offer: Spiritleaf Kingston is offering a free Spiritleaf 2-in-1 Bullet Pack to customers on 4/20 (while supplies last, no purchase necessary, one per legal aged customer, valued at $3.99). Discounts on cannabis and accessories are also available in store all day! 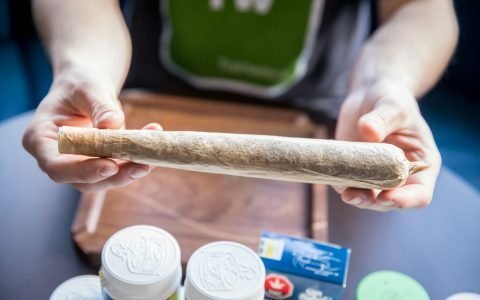 4/20 Offer: The “high variety” store in Ottawa is doing 20% all pre-rolls and accessories on Apr. 20! Get free munchies in Toronto on 4/20! The cannabis on-demand delivery provider will be delivering the ultimate munchie snack for free on Apr. 20 between 1 p.m. and 7 p.m.. Developed and created by chef Jerome Robinson (The Heartbreak Chef), the offer is good for the Stoner’s Delight, a deep fried sandwich with bacon. Sign up for free munchies in advance of the big day by placing an order online. 4/20 Offer: Stop by the Queen West store on Apr. 20 for a 15% discount on the entire store (not including vaporizers). 4/20 Offer: Running Apr. 17, 18, and 20, locations across the GTA are offering 10% off vapes and 20% off the rest of the store (no discount on papers). 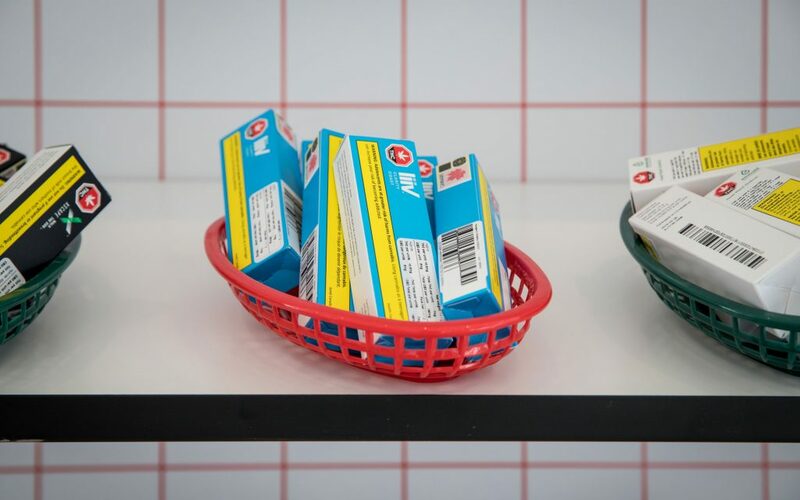 4/20 Offer: Canadian Lumber, the makers of all-natural rolling papers, are teaming up with Glory Hole Doughnuts in Toronto to give away FREE packs of papers on 4/20! Visit locations on Queen West or Gerrard East to get yours. 4/20 Offer: The ride share company teams up with Tokyo Smoke to offer $4.20 off one ride on Saturday in Toronto (promo code: 420TO19) and Ottawa (promo code: 420OTT19). Aimed at providing a responsible and reliable ride option to revellers, the promotion is available from 4:20 p.m. until 11:59 p.m. on Apr. 20. Activation locations in Toronto include Trinity Bellwoods, Yonge and Dundas Square, and Woodbine Beaches. 4/20 Offer: Canadian Lumber, the makers of all-natural rolling papers, are teaming up the Montreal bakeshop to give away FREE packs of papers on 4/20! Visit the location on Rue de Courcelle to get yours.